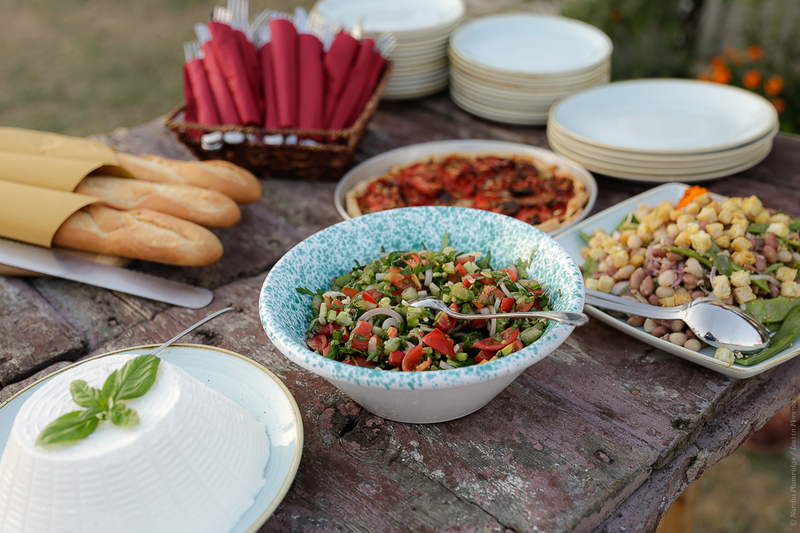 Summer nights in Tuscany are made for al fresco dining devouring light dishes using the season’s freshest ingredients. 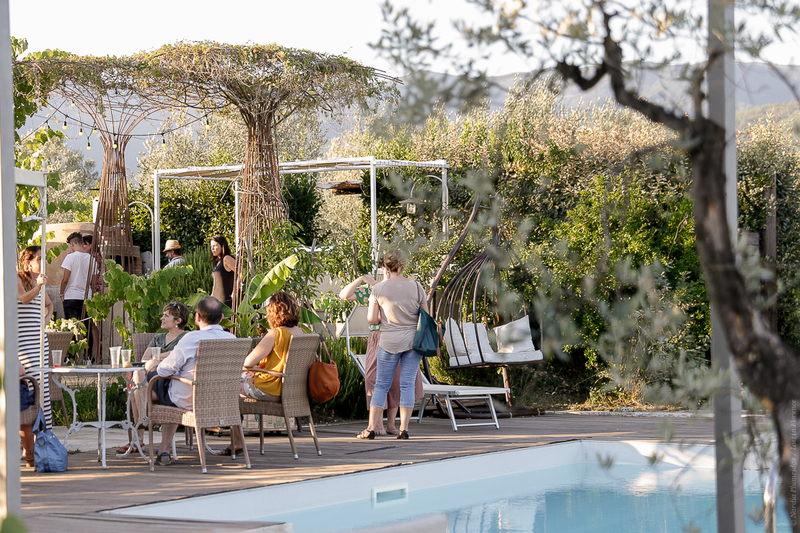 Summer nights spent in the countryside just outside of Florence, where the temperature is a few degrees cooler and quaint agriturismi, like Il Canto del Maggio, offer a respite to the heat and ‘la dolce vita’ moments dining under the summer stars. 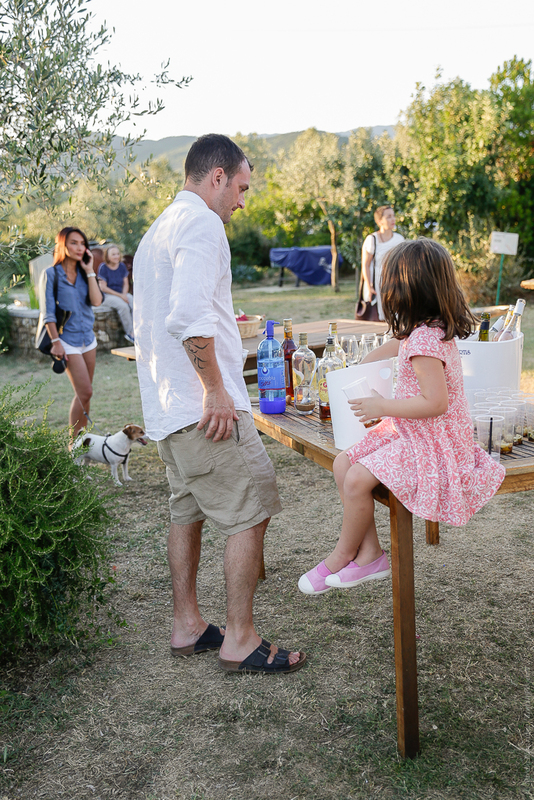 Il Canto del Maggio is a historic hillside hamlet run by Simona Quirini offering six apartments in the old stone houses that cascade down a scenic hill. On the road to Arezzo from the Tuscan capital, the apartments, and nearby Osteria, run by chef Mezzasoma Michele, offer a quintessential experience when travel in this part of Tuscany: rolling hills, laced with olive groves and at this time of year the smell of lavender and the last of the jasmine flower perfume the air. 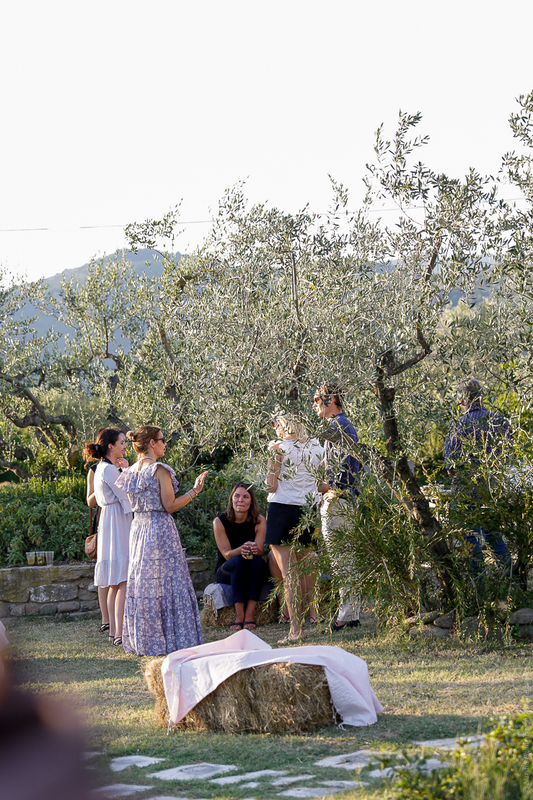 It’s calm, intoxicating and the perfect setting to host an event for cookbook writers, Emiko Davies and Tessa Kiros, to celebrate their latest food tombs, Acquacotta and Provence to Pondicherry. 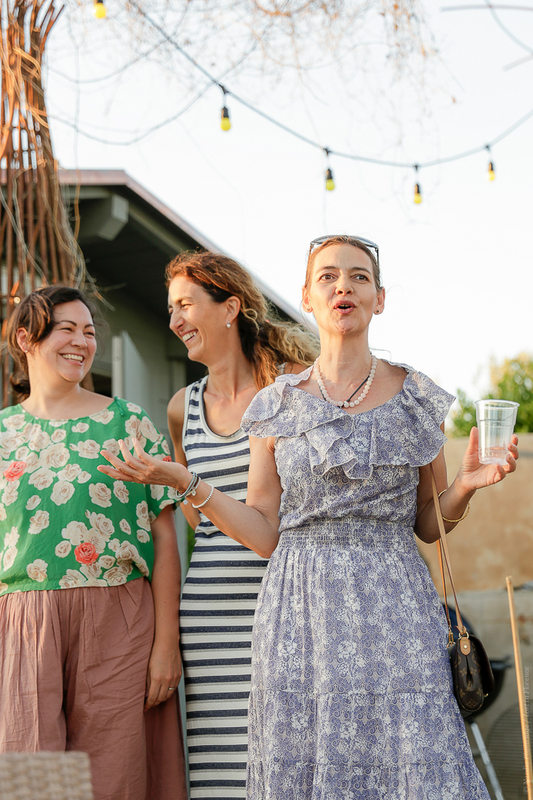 On a balmy Thursday evening, a collective of food lovers descended for a night to dine on dishes from these cookbooks and enjoy an evening in true Italian style – with friends, family, and a lot of food. 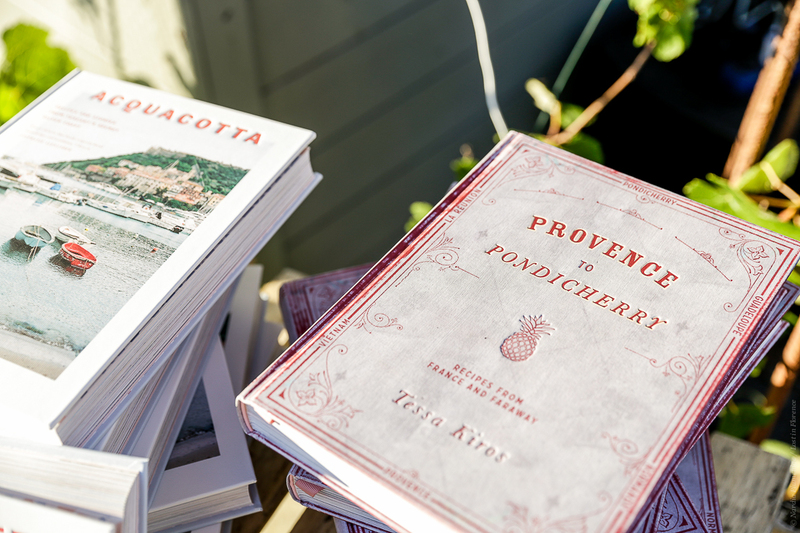 Emiko Davies second cookbook, Acquacotta, follows on from the success of her first book, Florentine. 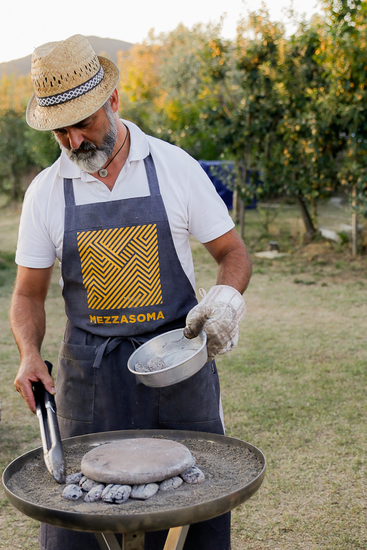 This time she focus’s on the lesser know Maremma part of Tuscany and shares the cuisine of this part of southernmost Tuscany, a sliver of land known as la Costa d’Argento — the Silver Coast. 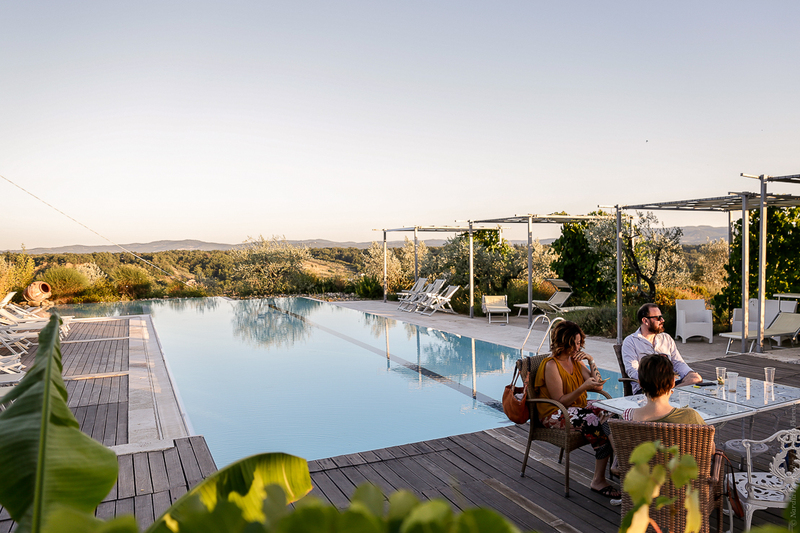 Named for the shimmery salt-and-pepper sand along this part of the Tyrrhenian Sea, it is a region of rolling hills, long beaches, overgrown trees, rambling vineyards and rich culinary history. 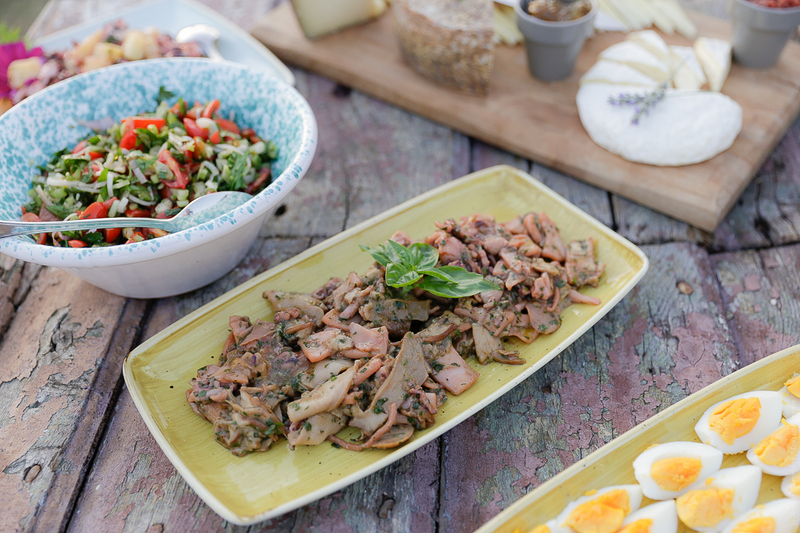 Australian-born, Tuscan-based, Emiko has compiled and adapted her Italian family’s best-loved recipes from Capalbio, Monte Argentario, Giglio Island and inland to the hot springs of Saturnia and the ancient Pigliano. 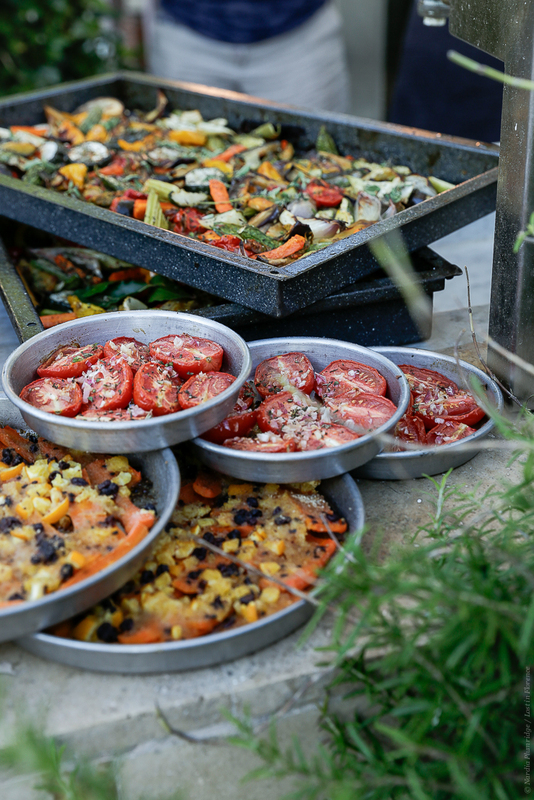 She guides readers through the use of local ingredients, as well as sharing the history of rustic, local dishes including quintessential Maremma peasant dishes that capture the spirit of this special area of Italy. 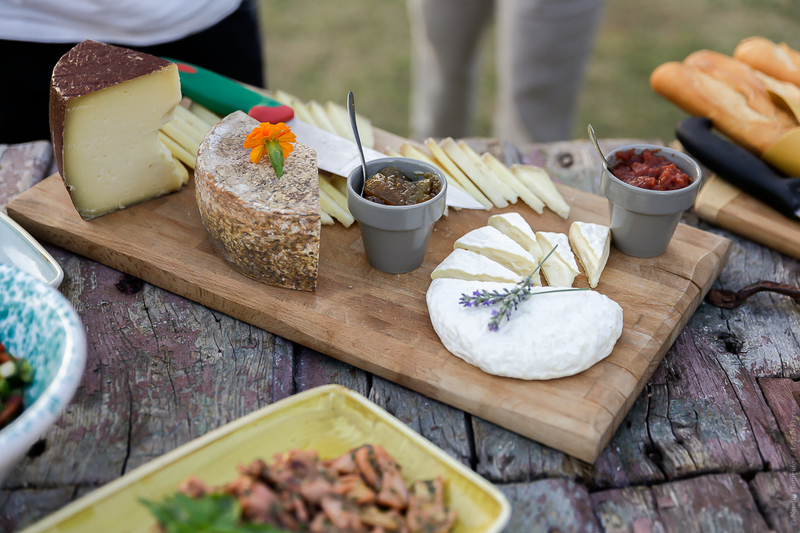 Tessa Kiros, having published books as varied as on Venice and Tuscan cuisine to the kitchens of Greece and Portugal now takes her passion for food to France and beyond, exploring French culinary influences in far-flung, and often exotic, destinations. 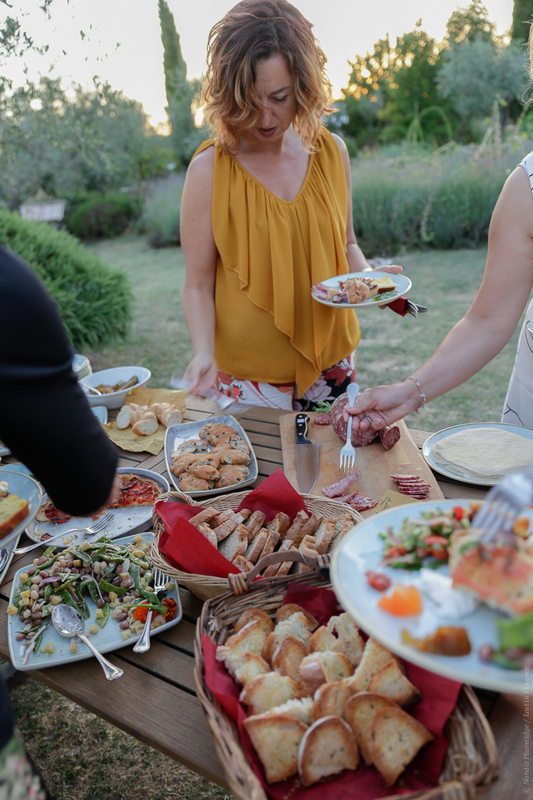 Beginning in Provence, where Tessa first fell in love with French food, she explores the Mediterranean region's links between the indigenous ingredients, flavours, materials, and traditions. She then takes the path of early French explorers, travelling to the island of Guadeloupe in the Caribbean; Vietnam in South-east Asia; Pondicherry on the Bay of Bengal, India; La Reunion, a French island in the Indian Ocean; finally returning to France and landing in Normandy, where the cuisine is so different from the South of France. 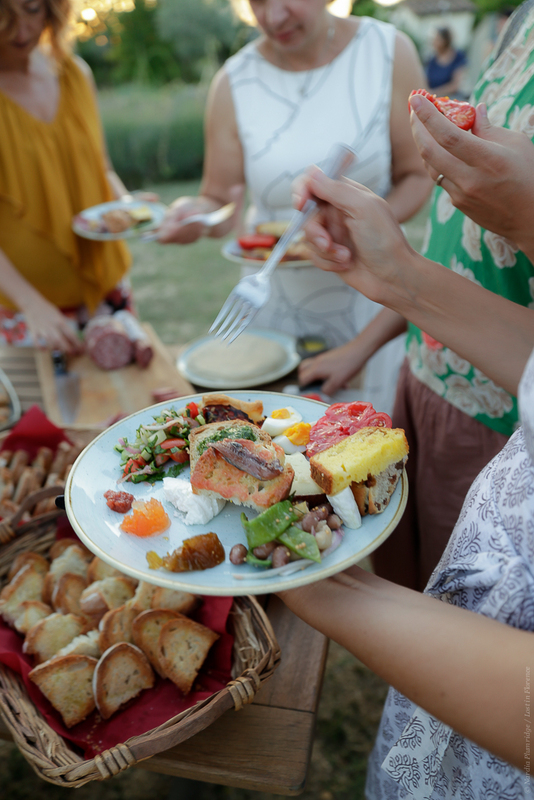 In each destination, Tessa delves into the history and culinary traditions of the country (or region), discovering how French cuisine has become embroiled with local ingredients and traditions. The result is an inviting collection of recipes that will appeal to those interested in travel and food culture. 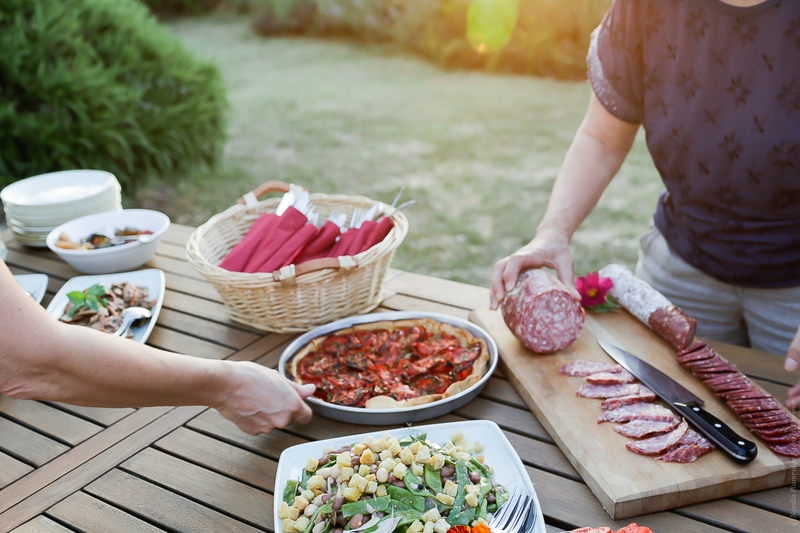 Emiko and Tessa both share a passion for food and its heritage, and in their latest cookbooks celebrate the flavourful beauty that each destination has to offer from Italy to all parts of the globe. 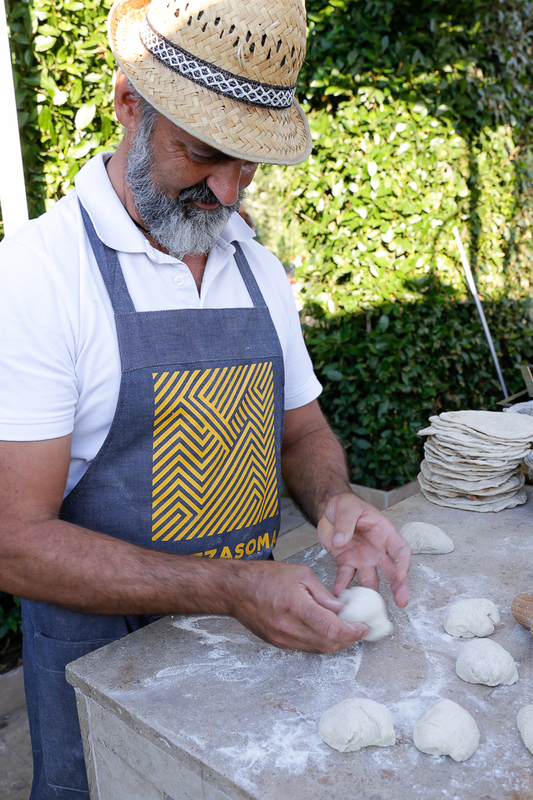 Part cookbook, part travel guide, both books will immerse you into these parts of the world worth exploring from the comfort of your kitchen.